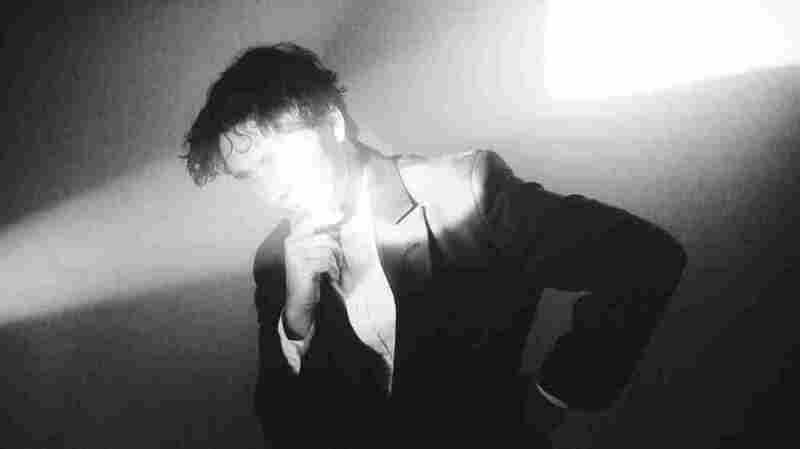 Cass McCombs Embodies the Absurdity of Western Cinema on 'Tip Of The Sphere' The rangy and enigmatic singer-songwriter is fully indifferent to fitting anywhere specific on the canvas of American folk — or, really, anywhere. 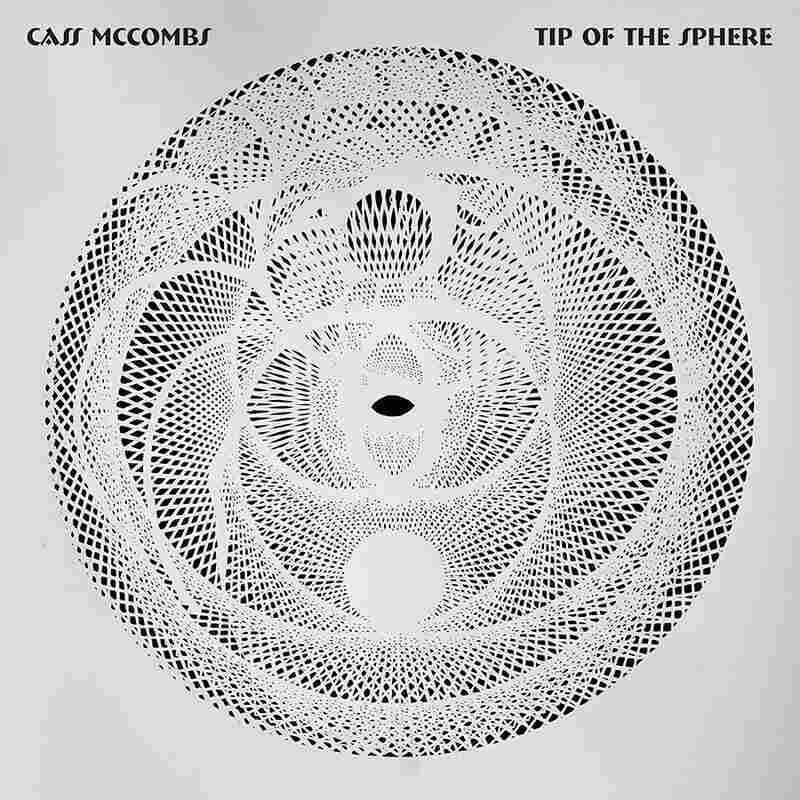 Cass McCombs' Tip of the Sphere comes out Feb. 8 via ANTI-. There is an episode of Guitar Moves with California singer-songwriter Cass McCombs, however, that scans with less jitter and intensity than the rest of the pairings, but instead feels chewier, easier, sweeter. In the episode, Sweeney and McCombs — two sugar-white men, here gleaming and peach-pink in the late-summer sun - smile at one another with what looks like shy adoration before mulling over Americana licks under the serene smog of their cigarettes. Sitting poolside, McCombs plays Elizabeth Cotten's "Freight Train" and Hank Williams' rendition of "Lovesick Blues" while tossing off creamy lines ("You can't devalue the thumb, Matt"), vaguely mystic wisdom and chummy zings (Sweeney: "I've heard those are called 'passing' or 'transitional' chords." McCombs: "You heard that in passing?"). Though it all might seem like subtle, goofy, standardly dude-ish fare, this has long stood as one of the most endearing portraits of Cass McCombs outside of his music. Glistening and unfurling like a tough roast under proper preparation, McCombs' well-documented (and all-too-easy) characterization as a cagey curmudgeon melts gently under the warm spell of a boneheaded afternoon, the promise of at least 20 minutes of folksy noodling, and a clear, sturdy platform on which to meditate aloud. Here, he seems to course through some of the identities that pierce his past, sweeping works, from the slacker-y A to the troubadour-ish PREfection; from the lawlessness of Big Wheel and Others to the left-leaning, conspiratorial twangs of last year's Mangy Love. A satisfying etymology lives in the word "hypocrite," which comes from a Latin term for an "actor, stage player or pretender." Across the past 17 years, McCombs has almost certainly understood the built-in breadth of this word, as he's delivered obliquely sentimental yarns about an entire troupe's worth of liars, hypocrites, actors and pretenders with the tenacity of an obsessive. "I Cannot Lie" titles one song; "You lied to me, and I to you" goes the refrain of another ("Twins"). "Tell no lie," he warbled, back in 2013, in a pretty track titled "Morning Star." Aside from the fact that "lie" rhymes nicely with a lot of words, McCombs' obsession with the theater of deception is not without reason. Lies are good fulcrums for the regular disappointments of being in love with another human — or, even better, the fuel behind doubt toward institutions, like country or self or God. Thus are the two central pillars that prop up McCombs' work, but there are attendant structures, too: He is funny, but in a way that for some might scan as smarmy or passive-aggressive; he is literary, but in a sense that suggests that he's read a lot of the Bhagavad Gita while watching TV. He is distinctly, profoundly American, but not in a way that necessarily celebrates America; to him, this country is a mess of wide-open plains, nuclear bomb threats, Grand Canyons and Walmarts. McCombs' tales have often been tallish or like little fables, littered with goofy damsels, spirits, fools and freaks. But Tip of the Sphere presses on this with a darkish emphasis. It's loosely, vaguely and mostly about the end of days. It's as straightforwardly narrative as McCombs has yet been willing to get in his albums, but each track works on its own as a meditation on loss and deceit by a world that wasn't very interested in him, either. For such a thematically melancholy album, misery figures openly and predominately, though not in a way that feels utmost or tragic. His (and his characters') suffering is not voluptuous, and sadness is neither noble or impressive, but a constant partner to regularly confront — less like a lover than a roommate. It's everywhere inside this Sphere: dreams of dying, a "bottomless canyon of nightmares," ominous "cinnamon towers," pleas toward the devil, "ribbons of moss" and "suicide," multiple times over. Yet, when written, these sound mopier than when they translate in song. In "I Followed the River Down South to What," the album's Grateful Dead-styled long-form opener, yawps from the point of view of a street urchin heckling a passerby. The sentiment is still lonely, even desperately alone, but there's a lawlessness and buzzy freedom to his roaming. From here, the characters are well-defined as a twinset: There's the wily vagabond who charts locomotive chases ("The Great Pixely Train Robbery"), celebrates the imminent apocalypse ("Sleeping Volcanoes") and loopily discusses Walmart at the garbage dump ("American Canyon Sutra") alongside the dreamy, lovelorn figure who sings of his Spanish-speaking beloved ("Estrella"), his unmendable heart ("Absentee") and death, or heartbreak ("Tying Up Loose Ends"). McCombs' production sprawl is licentious and a little indulgent, channeling a wide array of players who satisfy his whims for grandiosity and goofy interpolations. Pianist Frank LoCrasto supplies the album with the same daytime FM radio waxiness that McCombs yearned for in Mangy Love, while Otto Hauser's drums deepen each charge with a plummy gravity mixed high and propulsive. "American Canyon Sutra" is the most gratuitous track here, but it's a necessary stop. It's where McCombs — on all instruments — freewheels into spoken-word territory ("A pile of cash ... trash .. pinched into a little butterfly"), over a strange hi-hatted convulsion that gives it the air of beat poetry in an empty coffee shop. There is, too, the out-of-place dholak drum in "Real Life," which altogether sounds not a little like a raga. There are always songs like these on a Cass McCombs album — monkey wrenches that complicate the flow — but to expect them coming, at this point, is a thrill. This album is rife with them. "Rounder" flanks Tip of the Sphere with another Dead-styled dirge, clocking in at a cool 10 minutes of Garcia-caliber riffery. That said, it is beautiful, even for those with an aversion to the stuff. It's a complex Kaddish that reads like Ginsberg in its syntactical and grammatical leaps, with "radia gunslung," "gamblers odding" and a "slight of jadeself." It's mostly about the softness of the speaker's heart, and a vague promise of rebirth, even if it does yawn into the distance like a slow-motion sunset as the credits roll. For all its ramble and jangle, Tip of the Sphere may seem obviously thematically milked from the desperado Westerns and beatnik lyrics of the '50s and '60s, but something about it seems at least psychically influenced by the distinctly American surrealism of silent vaudeville acts from the same part of America a few decades earlier. There's a tactile comedy to Sphere; an essence that feels closer to the visceral satisfaction and absurdity of an actor performing a sight gag than to the straightforward imagery of a gun-slinging cowboy or turtlenecked poet. A clip of Buster Keaton from the 1926 silent film The General figures briefly in the extremely low-budget and clearly self-made video for "The Great Pixely Train Robbery." Keaton frequently made dire circumstances and fatal situations look like wordplay in motion, with clever stunts and physical comedy that summoned magic from the silent shot. Keaton's steely, sometimes eerie serenity during his acrobatics earned him the title "The Great Stone Face," which seems like a designation fit for McCombs. The two share a lot: both seemingly at odds with their milieu, both melancholic in a distant way, both keen on flexing the boundaries of a world that, to them, was a broad, limitless canvas to mess with. Their universes were governed by a law of movement that seemed to work for only them. It's easy to imagine Keaton and McCombs — the former indifferently pinned against a moving train, the latter squinting into the sun from a pool chair, contemplating Armageddon by way of sweet, funny folk songs — as like-minded absurdists, performers with their sorcery apparent only under the perfect conditions. It's why McCombs is so often at his best when he relaxes and contemplates nothingness.